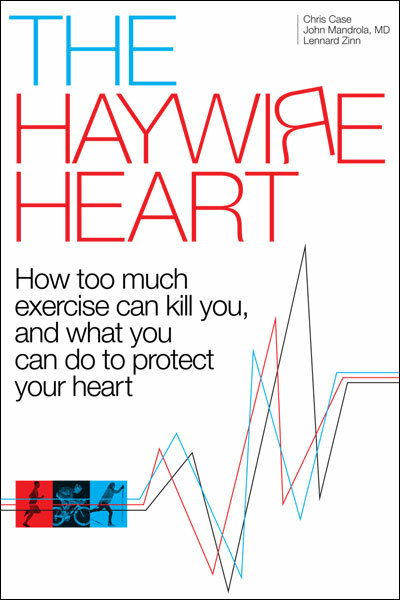 If you like thinking and writing, few topics are better than the excess exercise and heart disease story. Indeed it is a matter for the curious. Two studies published last week in the British journal Heart addressed the relationship of exercise and heart disease. (See references below.) Although these studies garnered mainstream media attention they added little to what is already known. Namely, that moderate exercise is protective and excessive exercise is detrimental. This has been dubbed the J-curve of exercise. You could also call it…obvious. I’ve been to this place so many times, I was going to leave it alone this time. One was a series of comments on my Is Atrial fibrillation Necessary post on theHeart.org. The post describes the fact that lifestyle factors, not bad luck, play a central role in atrial fibrillation and its treatment. I believe this research, from scientists in Adelaide Australia, is the most important work in all of electrophysiology. The Australians are exposing our blind spot. Their findings force us to look at AF as a modifiable acquired disease. Modifiable not with drugs, or freezes, or burns, but with simple lifestyle choices. What we eat, how we sleep, how much weight we carry–these are the things that matter to the health of our atria. What makes the Australian work so compelling is that they connect basic science and physiology to real-world clinical outcomes. It’s important to note that the Adelaide brand of lifestyle intervention is aggressive. They enroll overweight patients in a physician-led clinic where multiple areas of health are addressed. These patients get results. Their weight drops, BP falls, sleep improves, blood sugar decreases, alcohol intake plummets. Through these anti-fibrillatory effects something else happens: they feel better. Go figure. So, yes, the Australians are reversing AF in a population that is over-indulged. Many of the readers here are endurance athletes. And when viewed from a distance, athletic people do not appear over-indulged, eg, they are not overweight. This sort of thinking came through in a number of the comments on my THO post. Can you see the intuitive (fast) thinking? That skinny and athletic equates to “healthy.” Most doctors, those who don’t roll with the athlete crowd, think this way. I, and most of you, know better. Many, if not most, masters-aged athletes are completely and utterly, micro (last few weeks) and macro (last few decades) over-indulged. We’ve been at the train-like-Lance-ride-like-Lance game for a lifetime. Exercise is our drug. When we don’t race fast, we train more, not less. A brisk 10K run isn’t enough, we need to run a marathon, then two, and of course, many, like I once did, move to triathlon. Always more inflammation, not less. 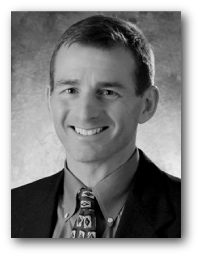 The steady stream of athletes I care for in my AF clinic are far from healthy. Sorry about the cliché but it’s important here to see more than the just the tip of the iceberg. Consider that only a select few middle-aged athletes are trust-funders who have the entire day to rest and recover from a training session. Most athletes add their over-training to a job, marriage, and parenting. And then there is perhaps the biggest misconception about the non-obese older athlete: they got that way with a good diet. This is rarely true. Many of these folks deal with the pangs of intense calorie depletion by gorging on insulin-spiking carbohydrates, including carbs-with-alcohol. Again, more inflammation. Now to the second thing that pushed me to revisit this worn canvass. Last week at the 2014 Heart Rhythm Society Sessions in San Francisco, a group of researchers from Barcelona Spain reported a study that confirms the athlete-is-over-indulged thesis. The most striking finding came when they compared the AF risk of heavy exercisers with ‘normal’ (light to moderate) exercisers. Here they found a nearly six-fold fold increase in odds for AF (OR = 5.89) in the heavy exercisers. To the group of regular doctors at the Heart Rhythm Society meeting, the researchers emphasized the well-known J-curve of exercise, where light to moderate exercise protects against AF and heavy exercise increases the risk. That skinny and athletic are not necessarily healthy. And that AF is a disease of excess–of always being on the gas. The reason this message is so important is that failure to see the big picture means patients are exposed to serious risks of treatment. I like to tell patients with AF that the disease gets most scary when doctors get involved. But this wouldn’t be the case if we stopped seeing AF as a disease that always required treatment with drugs or procedures, but rather a disease amendable to good old common sense. Atrial fibrillation is associated with different levels of physical activity levels at different ages in men. So are you saying that a person could “cure” their Afib with serious lifestyle changes? Have you ever had a patient that made serious lifestyle changes and as a result, “cured” or drastically reduced their afib? I get emails all the time from people that they are healthy and they still have afib (they don’t over do it in exercise, they eat all the right things, they don’t drink, etc. etc.). I still think afib comes down to an electrical defect that simply can’t be fixed unless you fix the wiring (i.e. ablation, whatever). Travis. I most definitely see patients that “cure” themselves with lifestyle changes. It’s the rule, not the exception. A doctor just has to let a person heal thyself. If you jump to drugs or ablation, you never know what is possible with the Adelaide style of intervention. In answer to your second point, that you get emails from people who are “healthy and just get AF,” I would offer two thoughts. One is that there are indeed a very small fraction of patients with AF who have a “focal” variety that behaves a lot like a focal atrial tachycardia or PSVT. These patients, who we used to call “lone” AF are rare. When you meet with AF patients, especially when accompanied by their spouse (a neutral observer), you learn that there are often contributing factors to their arrhythmia. For instance, exercise dose may be excessive. And remember that the dose of exercise that causes problems varies by person. I am 6’3″ tall and have sleep apnea, both conditions which indicate risk for AF. I have experienced both PSVT and AF. After consulting a cardiologist I have reduced my weight from 205 lbs. to 190lbs., switched to half-caf coffee, reduced alcohol to 4-5 beers a week. I have never been what I think could be called an excessive exerciser (you write >2000 hours but don’t state over what time): four or five brisk four mile hikes a week (~80 minutes each) on steep trails. I take digitalis and an antigoagulant, warfarin. I’m wondering what, if any, benefit I could get from Adelaide style intervention. I think I’m already doing nearly everything suggested. I have no reason to think that exercise tolerance (or optimal exercise volume) is uniform for all people of all ages. I do not have access to the original articles–can we say that there is an average optimal exercise volume (other risk factors being equal)? No. It varies by person. Genetics likely play a large role in how one tolerates long-term exercise dose. Up until now, I never heard the word “over-indulgence” used in the same sentence with “exercise”. It looks like the “appropriate” exercise levels (at various ages) are very low. I was under the impression that 10 hours a week was okay from age 40-62 when I was diagnosed (running and weightlifting). I wonder what the OR is for someone 62 years old, long time endurance exerciser, with obstructive sleep apnea. It would be interesting to see if the long term exercisers over 60 that have afib all, or mostly have, sleep apnea. Sleep apnea can fool you. I’ve seen some severe cases in exercisers who are not overweight and thick of neck. I look for sleep apnea in almost all patients with AF. Dr John, after reading this article I feel compeled to ask, in the interest of full disclosure, how many hours of of exercise you accumulated over the past year on top of your full-time medical practice, writing, family life, etc? If you are dialing it back, I’d love to hear how you are going about it and I’m sure many of your other readers would appreciate it as well. Vince…I have accumulated many many many hours of exercise over the years. Just the exercise of trying to count these endless hours would be pro-fibrillatory, so I won’t go there. In terms of finding balance in my life, this is a constant struggle. I don’t write too much about how I achieve balance because it would be disingenuous and paternalistic for me to think my approach would work for my readers. Plus…my family might have different views about how balanced I am. Suffice it to say, I’m a work in progress. My problem is that my brain keeps telling me how little I know. And time feels short, especially when think about all those books I haven’t read yet. I love this line of thinking you put forward in your blog. This has definitely influenced the way I counsel patients. I even referred one patient who had a million questions about the causes of a. fib to one of your blogs and he found it to be really interesting. I wonder if the type of athlete who “over-indulges” in exercises also indulges in work, alcohol, and lack of sleep. Dan…It’s an honor that you read my blog, and take the time to comment. Thank you. In addition to your many academic achievements, writing these words: “I wonder if the type of athlete who “over-indulges” in exercise also indulges in work, alcohol, and lack of sleep,” confirms your mastery of the obvious–a trait that not all accomplished professors enjoy. I’m moderately active, not sedentary, not overweight, no diabetes or other co-risk factor, tall, and in my young 50s. I’ve had AF for 8-10 years and it’s pretty bad and refractory to drugs now. If I could get rid of it with a lifestyle change or two, I would. This is a great post. It seems a lot of research has come out on this topic over the past few years. How does one know when they have crossed the line from moderate to excessive exercise? I don’t consider myself to be an excessive exerciser. I run regularly and I’ve run a half marathon but never a full. I was told I have athlete’s heart based on an echo (dilated left atrium). My understanding had been that it did not pose any risks because it was due to fitness. However, it sounds like that may not be the case. Is athlete’s heart not a benign condition after all? Do you think people with athlete’s heart should attempt to reverse it? Under the AHA guidelines, 75 minutes/week of vigorous aerobic activity gets you to their cumulative limit in 30 years. As a 53 yo man with afib who has been doing not too much more than that for the last 45 years (and thinking that I was being heart healthy) this is pretty “disheartening.” Just 10 miles/week at an 8 minute/mile pace for 30 years is enough to get into the risk category. However, the AHA guidelines are not aimed at reducing the incidence of heart arrhythmia – they are aimed at reducing cardiovascular disease. So those of us who end up with afib can consider themselves to be casualties of war, so to speak. Yes, you are right – it is – the study shows best results (lowest afib risk) for 1000 hours of cumulative physical activity. My point was that on the timescale of a lifetime, that is not much activity. You don’t need to be training like Lance Armstrong to put yourself into a high risk category – you can be following the AHA guidelines and get there pretty easily by the time you hit your 40’s. I go through a teeth clenching heavy weight training session for half an hour daily. Is it the just accumulated hours that makes a sport risky? What about the intensity? What about that half hour of spiked blood pressure? It’s hard to know if you’re doing too much if you don’t fully understand what constitutes too much. If we knew the answers it wouldn’t be a good topic on which to think and write. Like the article on medscape, intensity seems to be defined as hours per week. What about high intensity exercise were the duration is short and frequency is usually 3 times per week. Heart rates are maximal. If done correctly, the heart can’t beat any faster. If the 15 minutes of sprinting is followed by a strength workout, then the session may last an hour at most. Again, heart rates are maximal. That is how I define intensity: flight/fright, hunting, or going into battle. Individuals doing CrossFit are doing maximal, short duration exercise 5 days per week. What type of exercise needs a warning label? You mentioned “gene expression”. I took a Corus Gene Expression Test. I read the definition below, but I can’t seem to get my head wrapped around exactly what it means. Could you “dumb it down” so we can understand it? Also, I’d like to know your opinion about the recent change in guidelines regarding appropriateness of Statin Therapy. It seems all 65 year old males (even with BP of 110/70, non smoker, cholesterol 146, HDL 50, no high blood pressure, no diabetes: Risk 7.9% over 10 years. Anything over 7.5% it is recommended that the person take Statins. Doesn’t sound right. These things aren’t specifically about afib, but they are related to the balance between plumbing and electrical health of the heart. Feel good, improves collateral blood flow in my heart, improves nominally my cholesterol fractions (in the right direction), strengthens my legs’ muscles and tendons, reduces BP, maintains body weight, it provides the fitness to support my hiking and skiing and provides a wonderful social network of like minded people. Our bodies are useful to our genes for the purpose of reproducing themselves. To the few fleeting years it takes to reach sexual maturity, add a decade or two to be able to rear the resulting perversely helpless little bodies that carry the next generation of genes – and then the usefulness is at an end. Nevermind the ability of the minds all these bodies house to see into the Infinite and to dream to follow that vision, usefulness is at an end. It even seems to be in our collective nature to struggle against the extension of healthy life beyond the span our genes find us useful for, conscious desire notwithstanding. This is a logical expression of the gene’s own interest, insidious only to the peculiar perspective of the conscious mind. After all, this mind and its products – art, culture, accumulated wisdom, a somewhat enhanced longevity – are, at best, anomalies unhelpful to the central human animal business of uncoiling and recombining chromosomes. It’s our elaborate capacity to re-imagine and impart meaning to the pleasures our genes provided us for complying during the “useful” period that keeps us from just lying down when it’s over.